Dr. Ajayan holds joint appointments in the Departments of Materials Science and NanoEngineering, Chemical and Biomolecular Engineering, and Chemistry. 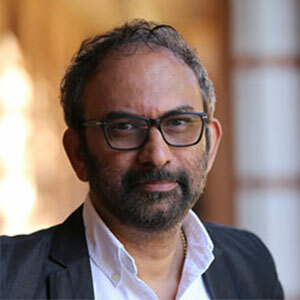 Dr. Ajayan earned his B. Tech in metallurgical engineering from Banaras Hindu University in 1985 and Ph.D. in materials science and engineering from Northwestern University in 1989. After three years of post-doctoral experience at NEC Corporation in Japan, he spent two years as a research scientist at the Laboratoire de Physique des Solides, Orsay in France and nearly a year and a half as an Alexander von Humboldt fellow at the Max-Planck-Institut fur Metallforschung, Stuttgart in Germany. In 1997, he joined the materials science and engineering faculty at Rensselaer Polytechnic Institute as an assistant professor and was the Henri Burlage Chair Professor in Engineering until 2007. He joined Rice University in July 2007. Dr. Ajayan is one of the pioneers in the field of carbon nanotubes and was involved in the early work on the topic along with the NEC group. He has published one book and 324 journal papers with more than 18,600 citations and an h-index of 67. 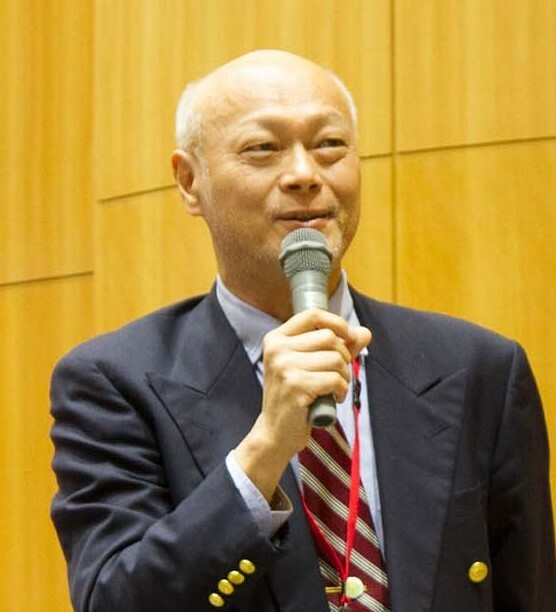 He has given more than 230 invited talks including several keynote and plenary lectures in more than 20 countries. His awards include the Senior Humboldt Prize, 2006 MRS Medal, Scientific American 50 recognition in 2006, RPI Senior Research Award (2003), the Burton Award from the Microscopic Society of America (1997) and the Hadfield Medal for the Outstanding Metallurgist in India (1985). He has been elected as a fellow of AAAS and to the Mexican Academy of Sciences. 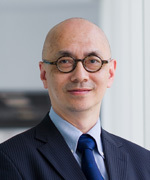 He is on the advisory editorial board of several materials science and nanotechnology journals and on the boards of several nanotech companies. Dr. Barrera has been recognized for his achievements in research and education and for his efforts in minority mentoring and recruitment to engineering. 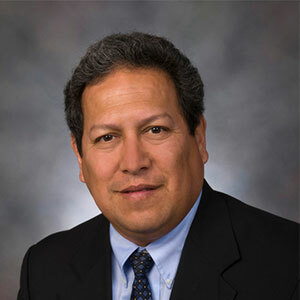 His awards include the NASA Group Achievement Award (2001), NASA National Research Council Senior Fellow at the Johnson Space Center (1999), the National Science Foundation Young Investigator Award (1993), the Presidential Award for Excellence in Science, Mathematics and Engineering Mentoring (2002) and the Hispanic Engineering National Achievement Award Conference Award (2003). He is a Cluster Lead for the Rice University NSF Alliance for Graduate Education and the Professoriate (NSF AGEP), which is directed toward moving under-represented students in science and engineering to the Ph.D. level and the professoriate. Dr. Barrera has a recognized K-12 program called the Materials Magic Show which he and his students present to areas schools. He has published more than 100 papers, proceedings, books, and chapters, given more than 80 talks and has seven patents submitted in his research. 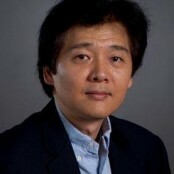 He is the chief technical officer of NanoRidge Materials, Inc., which does advanced nanomaterials manufacturing. He is a member of the American Society of Materials (ASM), The Materials Society (TMS), and the American Society of Materials, ASM International, among other professional organizations. Interface studies and processing of composites, coatings, and thin films. Development of new materials systems that take advantage of the unique properties of fullerenes and nanotubes. Research on new materials developments in nanotechnology. Formation of hybrid nanotube materials and the development of fully integrated nanotube composites. 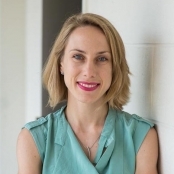 The long-term objective of Professor Goddard's research has been to describe the properties of chemical, biological, and materials systems directly from first principles (without the necessity of empirical data). To accomplish this the group has been developing new theory, new methods, and new software. The group's approach builds from Quantum Mechanics (QM) through a hierarchy of more approximate methods suitable for longer length and times scales as indicated in the figure including Molecular Dynamics (MD), mesoscale dynamics, and macroscopic dynamics. The couplings between the length scales provide the means of determining the parameters [e.g. Force Fields (FF)] essential in the coarser descriptions. This research in methods involves QM (for example, new functionals for Density Functional Theory, new approaches to Quantum Monte Carlo methods, Forces due to solvation, and hybrid QM mixing various levels of theory). FF (describing chemical reactions and phases transitions) MD (describing solvation forces and complex properties of interfaces) Meso Dynamics (extracting effective FF for pseudoparticles) These methods are applied methods to critical problems in chemical, biological, and materials systems. Usually in such problems, there is a dearth of reliable experimental data, and hence they validate their new methods by application to problems well characterized experimentally. Areas of current research interest include: BIOTECHNOLGY (Protein Folding, Structure and function of G-Protein Coupled Receptors, design of non-natural Amino Acids to be incorporated in biopolymers, Pharma) POLYMERS (prediction of structures and properties of Dendrimers, Gas diffusion through polymers, Surface Tension of polymers) CATALYSIS (Methane Activation, Metathesis, Selective Oxidation and Ammoxidation of alkanes) SEMICONDUCTORS (Reconstruction and Epitaxial Growth of GaN, structure and properties of the Si/SiO2 interface, diffusion of dopants in Si nanoscale devices) CERAMICS (structures and phase diagrams, structural and catalytic properties) METAL ALLOYS [Plasticity (dislocations, crack propagation, spall), Glass Formation] NANOSCALESYSTEMS (Carbon Nanotubes, Self-Assembly, NanoStructured diamond, bionanotechnology) ENVIRONMENTAL (Dendrimers for Selective Encapsulation, phase equilibria in particulates) Most of these projects involve collaborations with experimentalists at Caltech, other universities, national laboratories, or industry. Prof. Paul V. Braun is the Director of the Frederick Seitz Materials Research Laboratory and the Ivan Racheff Professor of Materials Science and Engineering. 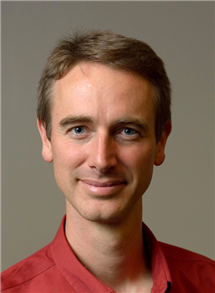 He also has a co-appointment as a Professor in Chemistry and is affiliated with the Department of Mechanical Sciences and Engineering and the Beckman Institute for Advanced Science and Technology. Prof. Braun received his B.S. degree with distinction from Cornell University in 1993, and his Ph.D. in Materials Science and Engineering from Illinois in 1998. 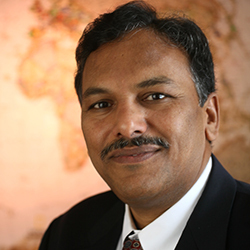 Following a postdoctoral appointment at Bell Labs, Lucent Technologies, he joined the faculty at Illinois in 1999. Prof. Braun has co-authored a book, authored over 200 peer-reviewed publications, been awarded multiple patents, and has co-founded three companies. 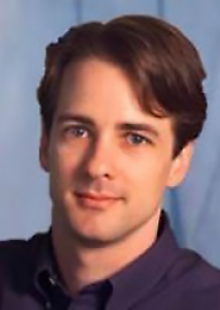 He is the recipient of the Illinois MatSE Young Alumnus Award (2011), the Friedrich Wilhelm Bessel Research Award of the Alexander von Humboldt Foundation (2010), the Stanley H. Pierce Faculty Award (2010), the 2002 Robert Lansing Hardy Award from TMS, a Beckman Young Investigator Award (2001), a 3M Nontenured Faculty Award (2001), the Xerox Award for Faculty Research (2004, 2009), and multiple teaching awards. In 2006, he was named a University Scholar by the University of Illinois, and in 2011 was named the Ivan Racheff Professor of Materials Science and Engineering. 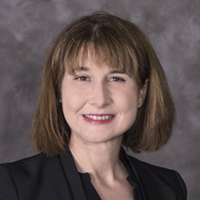 Prof. Braun has served on the editorial advisory boards of multiple journals. He was a member of the 2010-2011 DARPA Defense Science Study Group, and is now serving as a member of the National Academies Technical Advisory Board for the US Army Research Laboratory. Biomedical materials (ceramic, metals, polymers, and composites, including nano-biomaterials; in various forms: dense or porous, bulk or coating, particulate or fibrous, etc. ); In vitro and in vivo evaluation of biomaterials; Tissue engineering; Materials and systems for controlled release of drugs / biomolecules / genes; Theranostics; Surface engineering; Composite materials; Nanotechnology; 3D printing. Professor Thompson and his students carry out research on thin films and nanostructures for use in micro- and nano-systems, especially electronic, electromechanical and electrochemical systems. His group carries out basic research on structure evolution during deposition and post-deposition processing of thin films. The latter includes research on templated solid-state dewetting of thin films and nanostructures, for development of new patterning methods and for basic studies of capillary-driven morphological evolution. 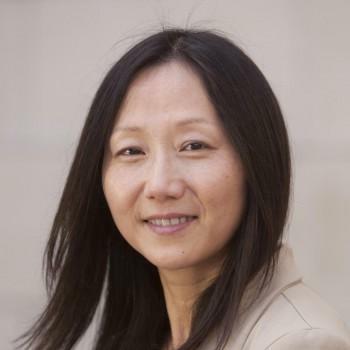 Prof. Thompson's group also carries out research on the mechanisms of carbon nanotube growth and metal-catalyzed etching for creation of semiconductor nanowire arrays. Carbon nanotubes are also used in research on metal-air batteries and capacitive desalination devices, and nanowires are used in research on solid state supercapacitors. Thin film Li-ion microbatteries and thermogalvanic energy harvesting devices for applications in autonomous microsystems are also under investigation. The properties and performance of materials - whether physical or biological or hybrid - are dictated by complex atomic and nanoscale architecture and associated phenomena. Our research is geared towards not only their understanding but manipulation and tailring to yield favorable response and behavior. Such materials include nanostructures, especially inorganic/organic hybrids, and phenomena oftenr revolve around various defects and their dynamic behavior. Thus, the core theme in Dravid group is the paradigm for "Form-Function" and "Structure-Property" relationship in diverse materials. On one front, we are investigating the patterning and characterization of complex multicomponent nanostructured materials such as metal/alloy nanocrystals, biomolecular nanopatterns (DNA/proteins), interfaces between inorganic nanostructures and biomolecules, etc. These structures possess unique and novel morphologies and chemistry, and their electronic structure alsdepends on size and shape. We are exploring applications of such structures, including drug delivery, bio-diagnostics and bio-chem sensing. We are also involved in atomic-scale structure-property relationship for internal interfaces, domains and mosaics. In a large number of material systems, such as electroceramics, semiconductors, superlattices, and structural composites, the property and performance of the bulk material are intimately connected to the structure, chemistry, and electronic structure of interfaces. The philosophy of our approach is based on sound fundamental foundation of complex phenomena, liberal use of advanced instrumentation and techniques and quest for proof-of-concepts for devices as well. 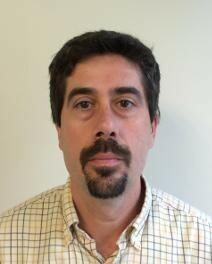 Dr. Muhlstein has worked as an engineering consultant at Exponent, Inc. (Failure Analysis Associates). In September, 2002 he joined the faculty in the Department of Materials Science and Engineering at The Pennsylvania State University and was tenured and promoted to associate professor in 2008. Dr. Muhlstein’s research focuses on understanding the mechanisms of fracture and fatigue in bulk and thin film materials. Dr. Muhlstein is a member of Alpha Sigma Mu and Keramos honor societies and an NSF CAREER award recipient. In 2007 he was also named the Corning Research Faculty Fellow in Materials Science and Engineering at The Pennsylvania State University. 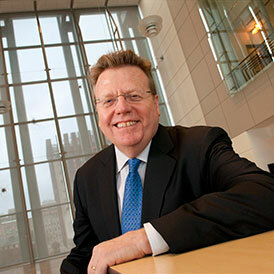 Matthew Tirrell is the Founding Pritzker Director of the Institute for Molecular Engineering (IME) at The University of Chicago. His personal research specializes in the manipulation and measurement of polymer surface properties. Tirrell’s work has provided new insight into phenomena such as adhesion, friction, and biocompatibility, and contributed to the development of new materials based on self-assembly of synthetic and bio-inspired materials. Tirrell also serves as Deputy Laboratory Director for Science at Argonne National Laboratory. He is responsible for integrating the laboratory’s research and development efforts and science and technology capabilities. He develops and drives strategy to support integrated teams across disciplines in support of Argonne’s strategic initiatives. 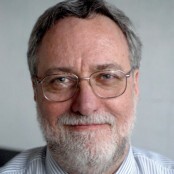 Before becoming founding director of the IME in 2011, Tirrell served as the Arnold and Barbara Silverman Professor and chair of the Department of Bioengineering at the University of California, Berkeley, and as professor of materials science and engineering and chemical engineering and faculty scientist at Lawrence Berkeley National Laboratory. 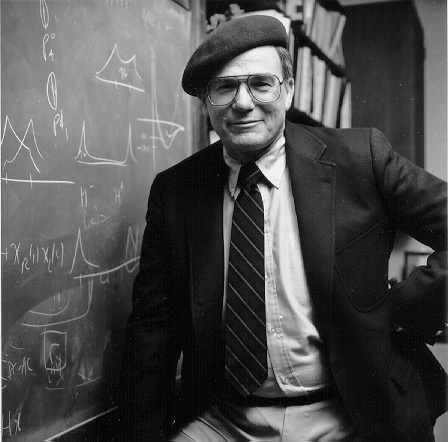 Prior to that, he was dean of engineering at the University of California, Santa Barbara for 10 years. Tirrell began his academic career at the University of Minnesota as an assistant professor in the Department of Chemical and Materials Engineering and later became head of the department. Tirrell received his B.S. in chemical engineering from Northwestern University and his Ph.D. in polymer science and engineering from the University of Massachusetts. He has received many honors, including the Polymer Physics Prize of the American Physical Society and election to the National Academy of Engineering and the American Academy of Arts and Sciences. To download a copy of Professor Tirrell's most updated biography, please click here. In 1996 he joined the Universitat Politècnica de València, where he is currently assistant professor of applied physics. His research has focused in the synthesis, design and characterization of biomaterials for Tissue Engineering. 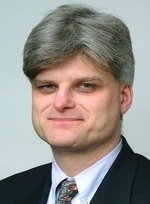 He has been working on the physical characterization of biomaterials using different experimental techniques: Differential Scanning Calorimetry (DSC), Thermomechanical Analysis (TMA), Dynamic Mechanical Analysis (DMA), Atomic Force Microscopy (AFM), Scanning Electron Microscopy (SEM) AFM nano-indentation, etc. He has published more than 50 papers in scientific journals and books that have been cited more than 550 times (h-index = 12) and has made more than 50 contributions to international conferences.